Electronic Arts’ upcoming EA Sports UFC, the first since previous developer THQ shut its doors earlier this year, will be the first game based on the sport to feature female fighters, the company announced last week. According to an EA press release, the game will be headlined by Ronda Rousey, UFC Women’s Bantamweight champion, and bantamweight contender Miesha Tate, though more will likely be represented. 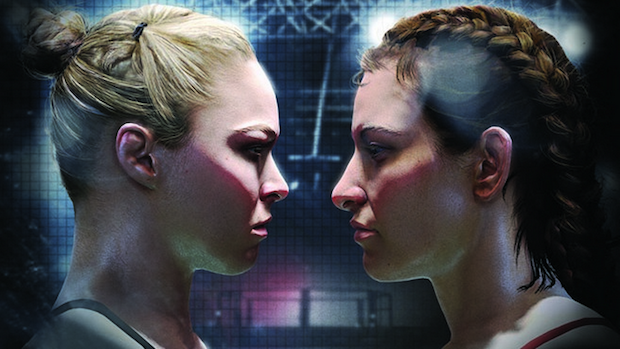 Rousey and Tate are the first female coaches on the reality series The Ultimate Fighter. “This is a great moment for…Mixed Martial Arts,” said Dean Richards, the game’s general manager. “In our commitment to delivering the most realistic fighting experience ever achieved, we wanted to represent the full spectrum of talent and diversity of all the fighters in the sport, including women who have become an undeniable force to be reckoned with. It’s definitely a progressive – if not terribly surprising – move on EA’s part, at least in the world of sports gaming. That genre, like the vast majority of professional sports, has long been a male-dominated affair, so it’s nice to see the other half of the human race finally represented in a major sports title. EA Sports UFC releases in the first half of next year for PlayStation 4 and Xbox One. Are you excited to see women represented in UFC? Why or why not? Let us know in the comments.